see below for news from june 2018 aiib summit mumbai and sco summit qingdao- next aiib summit 2019 luxembourg 2019 sco summit will be held in Kyrgyzstan. The Member States emphasise the importance of deepening regional economic cooperation in order to ensure their sustainable social and economic development, including through the use of the potential of the United Nations Economic and Social Commission for Asia and the Pacific in the key areas of its activity, including transport, energy, trade and IT. They stress the need to implement the relevant SCO documents aimed at developing regional economic cooperation. In this connection, the Member States note the results of the SCO Business Forum held on 6 June 2018 in Beijing with the participation of the SCO business communities, observers and dialogue partners, and supported the planned hosting of the International Import Expo in November 2018 in Shanghai. The Member States note the importance of cooperation between the scientific, research and analytical centres of the SCO Member States on economic issues. The Member States are in favour of further strengthening practical cooperation in banking and finance, including for the purpose of studying the prospects of expanding the use of national currencies in trade and investment. They noted the relevance of boosting exchanges in financial control and management, interaction in the balanced macroeconomic governance and control over financial agencies in order to provide easy access and fair conditions for financial structures and service networks. In order to finance the implementation of joint SCO projects, the Member States are boosting interaction within multilateral banking and financial organisations operating in the region, including the SCO Interbank Consortium, the Asian Infrastructure Investment Bank, the New Development Bank, the Silk Road Fund, the China-Eurasia Economic Development Fund and others. The Member States will continue to look for common approaches to creating the SCO Development Bank and the SCO Development Fund. The Member States note the importance of promoting multilateral cooperation in transportation and increasing the transit and communications potential of the region, including by building new and upgrading existing sections of international transport routes, by developing road and rail systems, including fast highways, by creating multimodal logistics centres, by introducing cutting-edge and innovation technology, by simplifying and enhancing the standards of automation in border, customs, sanitary and other systems used to control the movement of goods across the Member States’ borders, and also by implementing joint infrastructure projects. In this context, the Member States note the importance of implementing the Intergovernmental Agreement on International Road Transportation Facilitation (Dushanbe, 12 September 2014) and of the continued efforts to draft a programme for road development in the SCO Member States. The Member States support the initiative to hold the first meeting of the heads of the SCO Member States’ rail administrations in Uzbekistan aimed at promoting transport accessibility and connectivity. The Member States welcome the High-Level Special Event of the SCO and UNESCAP, titled Towards Regional Transport Connectivity (Bangkok, 23 November 2017). The Member States welcome the creation of the SCO Heads of Region Forum to promote interregional cooperation and take note of the proposal to hold the forum’s first meeting in Chelyabinsk, the Russian Federation, in 2018. The Member States point out the potential of coordinating international, regional and national development projects and strategies for stimulating cooperation in the interests of economic development based on the principles of respect, equality and mutual benefit, for encouraging investment and transport ties, promoting energy cooperation, strengthening the agricultural industry, introducing innovation and ensuring employment in the SCO space. Reaffirming their support for the Belt and Road Initiative (BRI) of the People’s Republic of China, the Republic of Kazakhstan, the Kyrgyz Republic, the Islamic Republic of Pakistan, the Russian Federation, the Republic of Tajikistan and the Republic of Uzbekistan, the Member States express appreciation for the joint efforts taken towards its implementation, including efforts to coordinate the development of the Eurasian Economic Union and the BRI and call for using the potential of the regional countries, international organisations and multilateral associations to create a broad, open, mutually beneficial and equal partnership in the SCO space. The Member States emphasise the importance of promoting and deepening mutually beneficial cooperation and the exchange of knowledge, information and best practices in the area of information and communication technology, including digital technology, to the benefit of economic and social development of the SCO Member States. Keeping in mind the importance of preserving an environmental balance in the SCO space and restoring biodiversity in the interests of future generations, and creating favourable conditions for people’s lives and sustainable development, the Member States have adopted the Concept for SCO Member States’ Cooperation in Environmental Protection. The Member States highly assess the initiative of the Republic of Tajikistan, which has been declared by UN General Assembly Resolution 71/222 of 21 December 2016 as International Decade for Action on Water for Sustainable Development (2018-2028). They welcome the holding of a High-level International Conference on the Water Action Decade under UN auspices (Dushanbe, 20-22 June 2018). They call for supporting the draft resolution of the 73rd Session of the UN General Assembly on a midterm review of the implementation of the Decade, which is aimed at facilitating the attainment of sustainable development goals and tasks in the sphere of water management. The Member States express a willingness to stimulate exchanges and cooperation to prevent and combat cross-border epidemic outbreaks of animal diseases, provide access to quality agricultural products and use quarantine for purposes of food security. They emphasise the need to take practical measures towards this end, including the drafting of a programme of cooperation in this area. The Member States call for strengthening cooperation in innovation activities. They point out the importance of coordinating the SCO Member States’ approaches in innovation politics, including the creation of an innovative ecosystem, technology platforms, innovation clusters and high-tech companies, and by implementing joint innovation projects. The Member States stress the crucial significance of the further development of cooperation in customs, agriculture and telecommunications, as well as in micro-, small and medium-sized business. The Member States will work consistently to tap the potential of the SCO Business Council and SCO Interbank Consortium (SCO IBC) in order to implement joint projects in finance, high-technology, transport and communication infrastructure, energy and investment. In this context, the Member States welcome the efforts of the SCO IBC to attract new members. V The Member States will continue their productive bilateral and multilateral cooperation in culture, education, science, technology, healthcare, tourism, crafts, environmental protection, youth exchanges, the media and sport for the sake of mutual enrichment and closer relations between people. Based on the Agreement Between the Governments of the SCO Member States on Cooperation in Culture, which was signed in Bishkek on 16 August 2007, the Member States will continue to facilitate the development of cultural ties within the SCO, as well as better mutual understanding between people with more respect for the cultural traditions and customs of the Member States; preserve and encourage cultural diversity; hold international festivals and competitions; expand ties between musicians, theatres, artists, film-makers, archives, museums and libraries; and also develop cooperation in studying and preserving the nature and cultural heritage of the entire region, including along the historical Great Silk Road. In keeping with the above, the Member States praise the decision to hold the 3rd World Nomads’ Games in the Kyrgyz Republic in September 2018. The Member States also noted the importance of holding the events under The SCO: Our Common Home project at the SCO Secretariat, as well as open days, conferences and roundtable discussions that involve youth. The Member States welcome the signing of the Memorandum of Understanding and Cooperation Between the SCO Secretariat and UNESCO, which reflects the aspiration of these international organisations to develop constructive cooperation in the humanitarian area, including with the aim of raising awareness of culture and cultural achievements, as well as the historical heritage of the SCO Member States. The Member States hail the work of the International Congress of Women from the SCO and BRICS countries that was held in Novosibirsk on 2-4 July 2017, and the Women and the SCO forum held in Beijing on 15-17 May 2018, pointing to good prospects for this area of cooperation. The Member States will encourage media cooperation and in connection with this note the SCO Media Forum held in Beijing on 1 June 2018. The Member States, while acknowledging the importance of sport as an effective factor in promoting dialogue between people of different countries, believe that sport should be separated from politics. They believe that the upcoming 2018 FIFA World Cup in Russia, the international Wushu competition in Chongqing on 18-19 May 2018, regular SCO marathons, and International Yoga Day held annually will contribute to stronger friendship, peace, mutual understanding and harmony. The Member States continue to implement the Agreement Between the Governments of the SCO Member States on Cooperation in Education in order to expand education exchanges and jointly prepare highly skilled personnel. Based on the principle of mutual respect, the SCO Member States will further develop practical cooperation in teacher and student exchages, joint scientific work, academic visits, foreign language-learning courses, professional education and youth exchanges. The Member States point to the need to cooperate in various areas, such as building the potential for fast response in emergency healthcare; ensuring the sanitary and epidemiological safety of the population; fighting against the distribution of counterfeit medical products; countering the spread of infectious diseases; preventing and monitoring chronic diseases; conventional medicine and pharmaceutics; medical education and research; implementing joint programmes for promoting global development; medical service and medical staff exchanges; ensuring safety and high quality food in order to jointly protect public health; providing incentives for the development of healthcare; and promoting innovative cooperation. india Updated: Jan 08, 2018 20:59 IST ... India's envoy to China Gautam Bambawale on Monday held talks with Shanghai Cooperation Organisation (SCO) secretary general Rashid Alimov and discussed measures for ... The next SCO Summit will be held in coastal city of Qingdao in East China's Shandong province. Dec 1, 2017 - Dmitry Medvedev's speech at the SCO Heads of Government Council restricted attendance meeting. Dmitry Medvedev's remarks at the expanded .... of SCO regions will promote our cooperation. I suggest that the launch of this new venue be timed to coincide with the SCO summit in Qingdao in June2018. The Shanghai Cooperation Organization Summit (SCO) 2018 will be held in coastal city of Qingdao in East China's Shandong province, Foreign Minister Wang Yi said on Saturday. 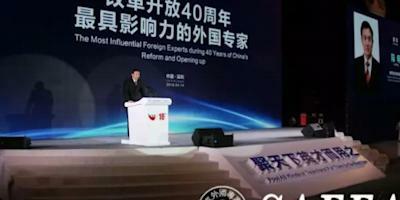 Wang made the remarks while addressing a keynote speech at a seminar on global situation and China's diplomacy held in Beijing. China plans good preparations for the SCO summit, which is expected to create more consensus between China and the neighboring nations, Wang said, adding that the summit is going to boost forces for regional cooperation. Sun Zhuangzhi, secretary-general of the SCO Research Center affiliated to the Chinese Academy of Social Sciences, told China Daily that the selection of Qingdao as the host city reflects China's advocacy of the Belt and Road Initiative. With New Delhi and Beijing trying to mend bilateral ties, 2018 may turn out to be the fourth consecutive year that would see Prime Minister Narendra Modi visiting China. Narendra Modi is likely to attend the Shanghai Cooperation Organisation's (SCO) summit which Chinese President Xi Jinping will host in Qingdao on the east coast of China in June this year, sources in New Delhi told DH on Monday. Modi already visited China thrice since taking over in May 2014. He visited Xian, Beijing and Shanghai during his first bilateral visit to China in May 2015. He visited Hangzhou in east China in September 2016 to attend the G20 summit. He again visited Xiamen in southeastern China to attend the BRICS (a bloc comprising Brazil, Russia, India, China and South Africa) summit in September 2017. The prime minister's visit to China in May 2015 has so far been his only bilateral visit to the Communist country. He had meetings with Xi and Chinese Premier Li Keqiang during the visit. He also had bilateral meetings with Xi on the sidelines of G20 and BRICS summits in China in 2016 and 2017. Dec 12, 2017 - New Delhi, Dec 12 () India will host the 3rd annual meeting of the Board of Governors of Asian Infrastructure Investment Bank (AIIB) at Mumbai on June 25-26 next year, an official statement today said. Jun 16, 2017 - Today, the Board of Governors of the Asian Infrastructure Investment Bank (AIIB) announced that the Bank's third Annual Meeting of the Board of Governors will be held in Mumbai, Indiain June 2018. AND POST-2015 EDUCATION Seize digital opportunities. Lead education transformation. 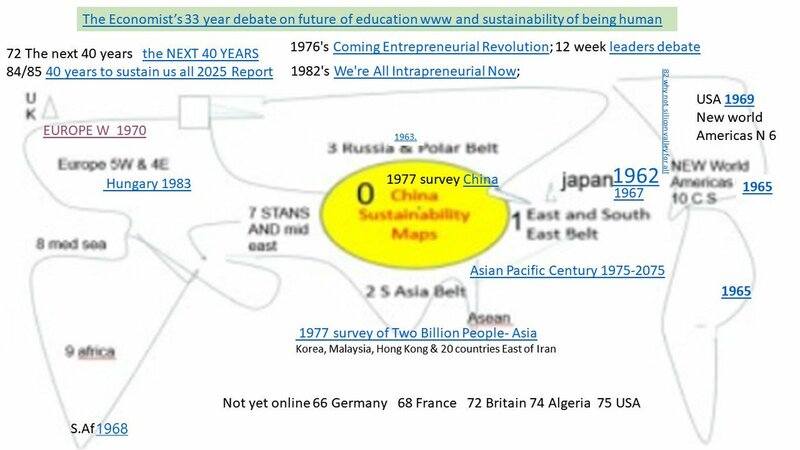 23-25 May 2015 Qingdao City, the People’s Republic of China QINGDAO DECLARATION | PAGE 1 ED/PLS/ICT/2015/01 QINGDAO DECLARATION INTERNATIONAL CONFERENCE ON ICT AND POST-2015 EDUCATION Seize digital opportunities, lead education transformation 23-25 May 2015, Qingdao, the People’s Republic of China PREAMBLE 1. We, Ministers responsible for Education, high-level government officials, representatives of civil society organizations, teachers’ organizations, United Nations (UN) agencies and development partners, and members of academia and the private sector, have gathered at the International Conference on Information and Communication Technology (ICT) and Post-2015 Education from 23 to 25 May 2015 in Qingdao, the People’s Republic of China, to affirm our collective understanding of how to unleash the full potential of ICT for education and for achieving the Sustainable Development Goals (SDGs). We thank UNESCO, the Government of the People’s Republic of China, the Qingdao Municipal Government and the Shandong Provincial Government for convening this milestone event. 2. We reaffirm the new vision of Education 2030 articulated in the Declaration adopted at the World Education Forum 2015 in Incheon, Republic of Korea, with access, equity and inclusion, quality and learning outcomes – within a lifelong learning perspective – as the key pillars. We are convinced that equitable and inclusive access to quality education for all across life is an imperative for building sustainable and inclusive knowledge societies, and as a key means of implementation to achieve all of the SDGs. 3. Inspired by a humanistic vision of education based on human rights and social justice, we further affirm that the remarkable advances in ICT and the rapid expansion of internet connectivity have made today’s world increasingly interconnected, and rendered knowledge and familiarity with ICT essential for every girl and boy, woman and man. 4. To achieve the goal of inclusive and equitable quality education and lifelong learning by 2030, ICT – including mobile learning – must be harnessed to strengthen education systems, knowledge dissemination, information access, quality and effective learning, and more efficient service provision. ACCESS AND INCLUSION 5. Technology offers unprecedented opportunities to reduce the long-existing learning divide. The application of ICT is essential if we are to deliver on our commitment in the Incheon Declaration to nondiscrimination in education, gender equality and women’s empowerment for sustainable development. We commit to ensure that all girls and boys have access to connected digital devices and a relevant and responsive digital learning environment by 2030, irrespective of their disabilities, social or economic status, or geographic location. In striving to achieve universal access to basic education and skills development, we recommend that all education stakeholders recognize enrolment in quality-assured online courses as an alternative or complementary mode to face-to-face programmes of study. 6. We stress the value of ICT-based solutions in ensuring that, in the wake of a conflict or natural disaster resulting in the destruction of schools or universities or in the impossibility of normal operations, the right to education is enforced. We therefore invite governments, international organizations, nongovernmental organizations and technology providers to cooperate in designing and implementing, quickly and efficiently and whenever they are needed, the most suitable solutions. OPEN EDUCATIONAL RESOURCES AND OPEN SOLUTIONS Open Educational Resources (OERs) provide education stakeholders with opportunities to improve the quality of, and expand access to, textbooks and other forms of learning content, to catalyze the innovative use of content, and to foster knowledge creation. We commit to developing sector-wide QINGDAO DECLARATION | PAGE 2 ED/PLS/ICT/2015/01 strategies and capacity building programmes to fully realize the potential of OERs to expand access to lifelong learning opportunities and achieve quality education. 7. We recommend that stakeholders facilitate access to Open Access (OA) Journals in Education for teachers, researchers and learners, and fully evaluate the potential of Free and Open Source Software (FOSS) and Open Standards for the development of ICT solutions, including for learners with disabilities and for promoting learning in the first language. QUALITY LEARNING 8. We commit to developing well-informed long-term policies and strategies to unleash the potential of ICT to achieve greater quality in education and transform learning. 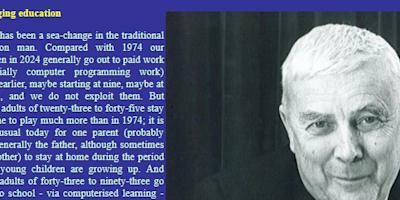 We recognize that there is a need to redefine learning outcomes and the way in which we organize and assess learning if we want our education systems to prepare lifelong learners — both children and adults — to thrive in networked knowledge societies and succeed in economies that are increasingly reliant on technology. 9. We recognize that the ability to leverage ICT for learning is no longer a specialized skill; it is foundational to success in today’s societies. We therefore acknowledge the need to integrate basic ICT skills and information literacy into primary and secondary education curricula. We support the adaptation of learning assessments in order to reflect the use of ICT and its impact on learning and on outcomes. 10. Successful integration of ICT into teaching and learning requires rethinking the role of teachers and reforming their preparation and professional development. It calls for promoting a culture of quality in all its aspects: staff support, student support, curricula design, course design, course delivery, strategic planning and development. We will therefore ensure that teacher training institutions are equipped and prepared to use ICT adequately to expand the benefits of training and professional development programmes to all teachers, and to act as the vanguard for technology-supported innovations in education. We also commit to providing teachers with system-wide support for the pedagogical use of ICT, to incentivize teacher innovation, and to develop networks and platforms that allow teachers to share experiences and approaches that may be of use to peers and other stakeholders. LIFELONG LEARNING PATHWAYS 11. We reaffirm that lifelong learning is the guiding principle to enhance individuals’ knowledge, skills and competences for work and life. We recommend that ICT be used to deliver education and training, including technical and vocational education and training, in both formal and non-formal settings, at all times and in all places, as it can improve and diversify learning pathways, improve quality, and further reach vulnerable and underserved groups including rural youth and adults, women and girls, outof-school youth, and people with disabilities. ONLINE LEARNING INNOVATIONS 12. While we are aware of the challenges linked to quality assurance, pedagogical effectiveness and certification, we recognize the benefits of well-organized online learning courses for learners, institutions, systems and society at large. Online learning, including in the form of Massive Open Online Courses (MOOCs), has the potential to build new learning pathways towards tertiary education and lifelong learning. We therefore recommend that governments, institutions and other stakeholders further consider and harness the opportunities brought by online learning innovations. 13. We recommend that efforts be made to explore the potential of ‘big data’ for enhancing online learning in order to inform our understanding of students’ behavior and learning, and to improve the design and organization of online courses. In this context, governments must develop policies and systems to ensure secure, appropriate and ethical use of data, including safeguarding the privacy and confidentiality of students’ personally identifiable information. QUALITY ASSURANCE AND RECOGNITION OF ONLINE LEARNING 14. We consider quality assurance and recognition as crucial and interlinked elements for enhancing the relevance and credibility of online learning, and for supporting lifelong learning and professional progression and mobility. We call for the establishment of transparent quality assurance measures of online learning that support reliable, valid and credible assessment. 15. We recognize the potential of innovative ICT-based approaches in certification and assessment, including competency, portfolio, online badging and peer assessment, as tools that can broaden routes to QINGDAO DECLARATION | PAGE 3 ED/PLS/ICT/2015/01 employment, fulfilment and achievement of qualifications by all learners. We call for fair and transparent recognition of learning outcomes and qualifications acquired through online learning. We encourage Member States and other stakeholders, including education and training providers, to use ICT to promote recognition, validation and accreditation of the knowledge, skills and competencies acquired through informal and non-formal settings, and to build bridges between formal, non-formal and informal learning. MONITORING AND EVALUATION 16. We commit to developing comprehensive national monitoring and evaluation systems to generate sound evidence for policy formulation on the integration, use and impact of ICT in education, in order to enhance the management of education systems, ensure accountability, and understand the key roles that ICT increasingly plays in the transmission of knowledge, the acquisition of new skills and competencies, and in the development of values and attitudes that are relevant to the building of sustainable and peaceful societies. 17. We further recommend that governments and other concerned partners support capacity development in data collection, analysis and reporting at the country, regional and global levels. We request the UNESCO Institute for Statistics (UIS) and other partners to support countries in reinforcing and sustaining efforts to establish the appropriate national-level mechanisms and processes. We commit to continue to report accurate and complete data in a timely manner to the UIS, facilitating its work and advancing its mission to build and maintain a global repository for ICT in education data. 18. We recommend that the Global Education Monitoring Report, to be hosted and published by UNESCO, uses UIS core indicators on ICT in education to provide regular global-level monitoring of ICT in education. ACCOUNTABILITY AND PARTNERSHIP 19. We encourage governments, industry partners and all other education stakeholders to join forces and share resources to create equitable, dynamic, accountable and sustainable learner-centred digital learning ecosystems. 20. We recognize the growing importance of multi-stakeholder partnerships for successful ICT in education policies, based on cooperation between governments, industry partners, civil society organizations – including teachers’ organizations – and academia. 21. We call for further consultation and dialogue between governments and the private sector to design scalable innovative funding mechanisms to secure the financial resources needed to unleash the full potential of ICT for learning, in line with the 2030 education agenda. INTERNATIONAL COOPERATION 22. We invite UNESCO to explore the feasibility of three activities in support of international cooperation in the field of ICT in education, in line with Education 2030: 1. an international fund to assist developing countries, with special focus on the least developed countries, to use ICT to achieve their national goals in education; 2. a global network of expertise and knowledge-sharing on ICT in education, including the specialized Institutes and Centres under the auspices of UNESCO, which would serve the needs of three different user communities – namely policy-makers, researchers and teachers; and 3. a clearinghouse of good practices and lessons learned on technology-supported innovations in education. The Qingdao Declaration on Information and Communication Technologies (ICT) in education was approved at the conclusion of the conference on ICT for the 2030 Education Agenda held in Qingdao, China. The Declaration outlines how technology can be used to achieve educational targets for equity, access, quality and lifelong learning in the Sustainable Development Goals (SDGs) that will be used to coordinate international development for the next 15 years. The conference was jointly organized by UNESCO, the Ministry of Education of the People’s Republic of China and the Chinese National Commission for UNESCO, with the support of the Qingdao Municipal Government and the Shangdong Provincial Government, and the sponsorship of the Weidong Group. Key partners included the Commonwealth for Learning, the OECD and UNWomen. The conference gathered participants from more than 90 countries, including ministers and vice-ministers of education. The Qingdao Declaration is the first global declaration on ICT in education. The text, approved unanimously by participants, highlights the different ways in which technology can support the global agenda for education which was suggested at the World Education Forum for the next 15 years. It states that “the remarkable advances in Information and Communication Technologies (ICT) and the rapid expansion of internet connectivity have made today’s world increasingly interconnected and made the knowledge more accessible for every girl and boy, woman and man. To achieve the goal of Inclusive and Equitable Quality Education and Lifelong Learning by 2030, ICT must be harnessed to strengthen education systems, knowledge dissemination, information access, quality and effective learning, and more efficient service provision”. The Declaration is a clear statement in favour of the use of ICT to foster access and equity in education as well as to promote the effective pedagogical use of ICT. It highlights in particular the paramount role that teacher development and support will have to play. It stresses that increasing efforts have to be made to promote the culture of open educational resources and the need to ensure quality assurance and recognition of online learning. Finally, it encourages governments, industry partners and all other education stakeholders to join forces and share resources to create equitable, dynamic, accountable, and sustainable learner-centered digital learning ecosystems. The Declaration also recommends that UNESCO support international cooperation in this field by establishing a clearing house on good practices and lessons learned concerning technology-supported innovations in education. The creation of a global network of expertise and knowledge-sharing on ICT in education which would serve the needs of three different user communities, namely policy-makers, researchers, and teachers. It would support further consultation and dialogue between governments and the private sector to design scalable innovative funding mechanisms to secure the financial resources needed to unleash the full potential of ICT for learning in line with the 2030 education agenda.